PQ Rise will be held for the first time during the summer of 2019 as an extension of PUC’s popular PacificQuest science experience. 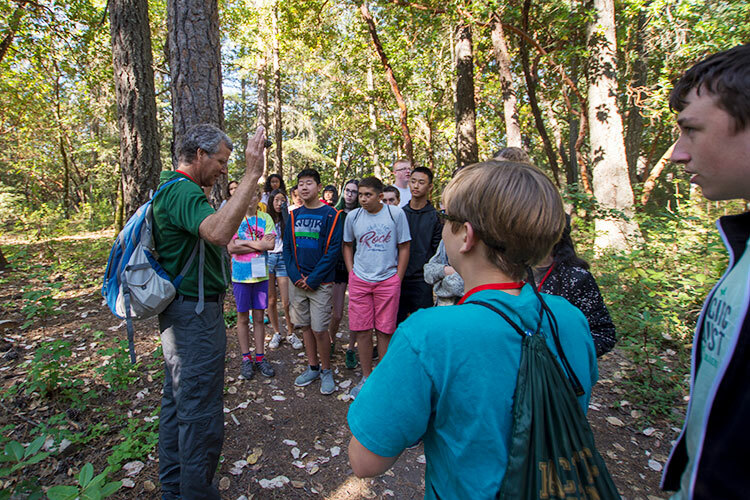 PacificQuest initially began as a program designed for middle school students. The immersive PQ Rise experience was created as a next-step program for those interested in STEM fields, aiming to provide freshman and sophomore high school students with a hands-on introduction to the sciences. While the program seeks to encourage students to explore biology as an academic and career option, the ultimate goal of PQ Rise is to better prepare students for life in college. Vola Andrianarijaona, professor of physics and previous PacificQuest instructor known to all as ‘Dr. Vola,’ explained many students asked for another program after attending PacificQuest in middle school. Dr. Vola highlights the fact that a good deal of prior PacificQuest students join PUC as Maxwell Scholarship recipients. Since 2013, at least three Maxwell scholars had attended a PacificQuest summer program. Opening doors in the academic world is what PacificQuest is all about, and PQ Rise allows interested students to further develop their skills as they look toward higher education. PQ Rise is currently scheduled to take place from June 30 to July 5 this summer. As it takes place during the Independence Day holiday, students can expect to learn more about the science behind explosives, such as those used in fireworks, as well as an interdisciplinary view into the historical context, music, and literature of the Fourth of July. In keeping with PUC’s emphasis on holistic experiences, PQ Rise will also offer a number of recreational, spiritual, and social activities in addition to the planned courses. As students engage with the curriculum, they will also be encouraged to develop friendships and lasting relationships with the peers and instructors they encounter at PUC. Those interested in learning more about PQ Rise can do so on the PUC website. Further details regarding the program will be released as winter quarter comes to a close and summer draws near.